We all know it’s hard to buy knives; there are so many different lengths, materials, handles, and sets. What do I choose! Well here is a list of the different types of knives and their uses to choose from. Paring Knife – It’s used for many small multipurpose jobs such as topping and tailing vegetables, removing skins from onions and preparing small fruits. Turning Knife – This one has a very small curved blade used to turn vegetables for presentation. Filleting Knife – It has a medium length blade that is thin and flexible so it can bend while cutting along the bone of fish. Boning Knife – This one has a short to medium blade, that’s strong and has ridges, and is used to cut away the meat from the bone. General Chef’s Knife – It has many different uses such as slicing, dicing, shredding, and chopping. It is used on fruits, vegetables, meat, and poultry. Palette Knife – Blunt but flexible it’s used to flip things over while they’re cooking, pick things up from the pan and transfer them to the plate, and spreading butter or cream on things. 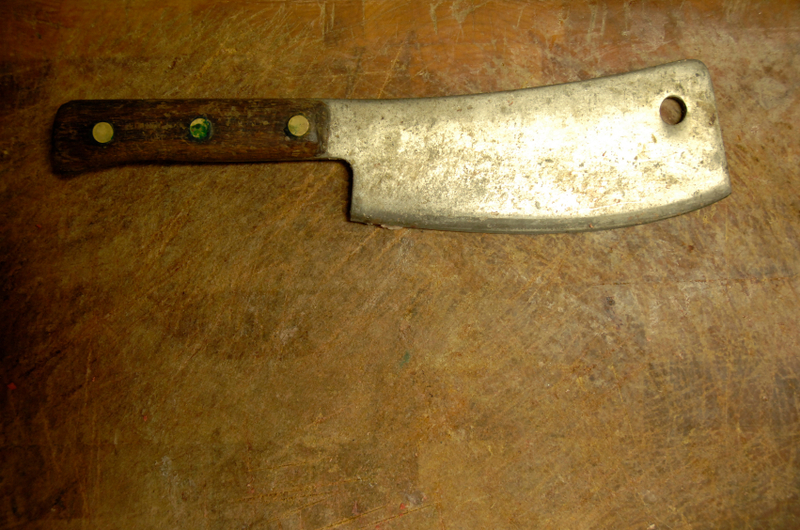 Carving Knife – It’s long and a thin blade should be sharp, and is used to cut meat. Serrated Knife – Designed to cut certain things such as bread or vegetables with firm skins; it assists in the sawing motion that is used to cut these items. Always place a knife on the bench to give to another person, rather that pass it by hand to the person. Never hold knives in the air or hold them with fingers overlapping the cutting zone. Don’t use the knife as a screwdriver or can opener. Don’t wave a knife around, point with it or turn around with it in your hand. Place on the bench and then turn to talk to others. Never transport food on the blade of a knife. Never leave knives in sinks or under items. Blades are hazards when not in a visual range. Always keep the knives separate and individually contained, wrapped or held with the point of the knives secured, this includes in your toolbox or even in the picnic basket. Never hide knives under anything. Last but not least, making sure you have sharp knives is very important. If they are dull, you have to apply more pressure to slice through things, which creates a higher risk of the knife slipping, and cutting you. Storage – Don’t put your knives in a loose draw with other knives or utensils, because they rub against everything else, damaging the blade. The best way to store them is to put them in a knife roll, or a wood block, which has individual compartments for each knife, making sure they don’t touch each other. But if you’re using a wood block, make sure the knives don’t rub against the wood sides when you’re taking them out, or putting them in. Another way to store them is on the wall, with a magnetic strip. Cutting Boards – Never cut things on extremely hard surfaces such as glass, ceramic plates, and granite counters, as they can dull your knives. Instead, use bamboo and wood boards, because these are much softer materials. Dishwasher – Don’t wash your knives in the dishwasher, because it can also dull the blade. Instead wash them by hand in the sink, and place in a plastic drying rack, not touching one another. If you do wash them in the dishwasher, make sure the knife is in a plastic silverware divider. NEVER use your knives for opening cans, unscrewing rivets, or opening packages, as all these will damage the blade. http://www.cookwareneeds.com is the place to go to find the knives you need and any cookware you might want. Make sure to check out the website each month for a new special offer. 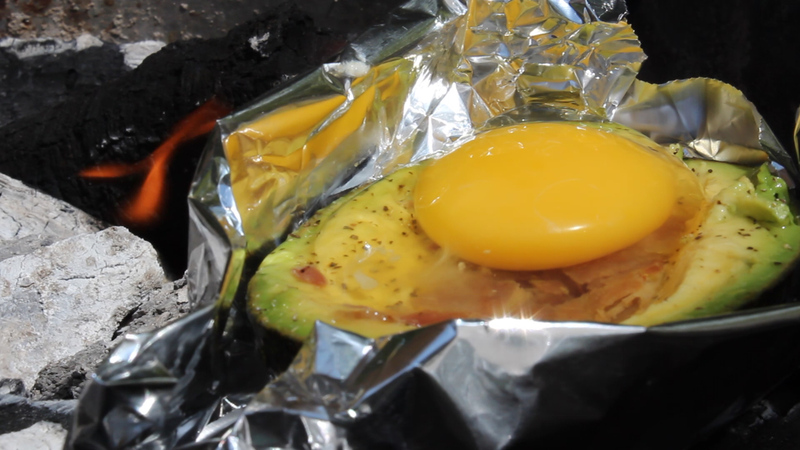 Here’s a breakfast recipe idea from the archives of our weekly Web BBQ and Grilling Show: GrateTV. 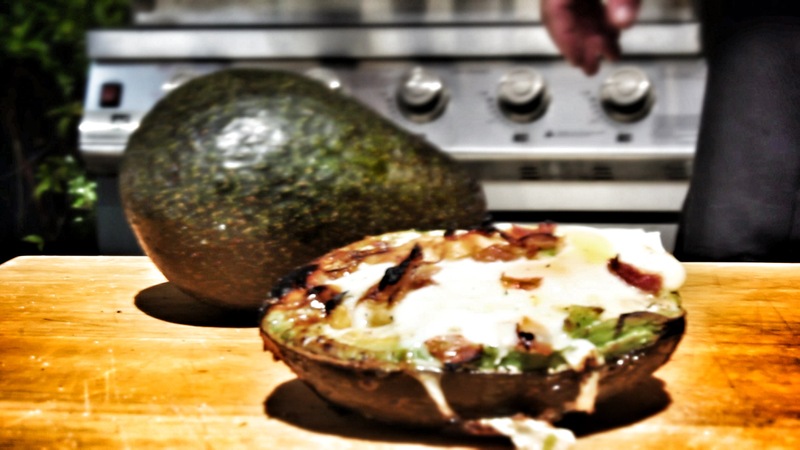 In just a few minutes we fire up live and hot hardwood charcoal and nestle a half avocado in the coals. Add and egg and bacon and it’s the start of a protein rich breakfast that would make Atkin’s dieters proud. 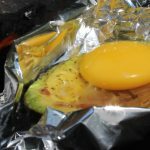 Our review: Make sure you to cover with foil to assist the cooking of the egg and consider some toast if you can spare some carbs. We frequently start our day with a cup of coffee, to keep us awake for our activities the entire day. But cleaning the grill with a cup of coffee? Is it even possible? It seems unbelievable, however coffee can really make easier cleaning for your barbecue grill. Because coffee is naturally acidic, it works really wonderful for cleaning grease and the process is simply as basic as any grill cleaning approach can be: Prepare your coffee in a pot, put it into a washbasin and soak your grill grates. (Same goes for barbecue utensils or oven burners.) Leave it there for almost one hour. Scrub it, then lastly rinse with warm water. Your grate is now as great as brand name brand-new. Instead of squandering your unused pot of coffee, why not utilize it for cleaning your grates? Nonetheless, if you really don`t like coffee then you can still clean a grill with an onion or a little aluminum foil. Food and grease fragments can rust even the extremely finest quality stainless-steel given adequate time. This is typically a trouble as we have a tendency to utilize a lot of acidic marinades and sauces on the grill. These can destroy your grill in spite of how much you invested on that. If ever you can see some grease burnt on your barbecue grill, you’ll generally need to spend time dramatically scrubbing it with steel wool to remove that grease. 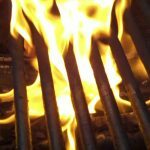 Cleansing your barbecue grill with a stainless-steel grill brush with each use can stop you from wishing to make use of the coffee cleaning technique. For an incredibly sensible clean, spray the barbecue grill with your usual kitchen appliance cleaner and leave it in a plastic garbage bag the entire evening. Wash it the next day, and you will have a shining grill that you can utilize once again. Now that you know how to clean your propane grill utilizing coffee grinds, it’s time to think outside the box. There are sufficient other types of acidic meals that you can use to cheaply and efficiently clean your grill. Cleansing your grill with onions is a best example. Anytime you have the chance to clean your grill utilizing a natural meals item, it is way much better than utilizing cleaning items. The reason is because cleaning items have chemicals in them that even after you are done utilizing them, will remain on your grill grates. The chemicals will get on your meals rather of burning off prior to grilling if you forget to preheat your grill. Michelle Patterson is an enthusiastic griller and barbecue enthusiast. 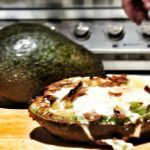 She takes her background in nutrition and blogs about unique means to barbecue naturally.